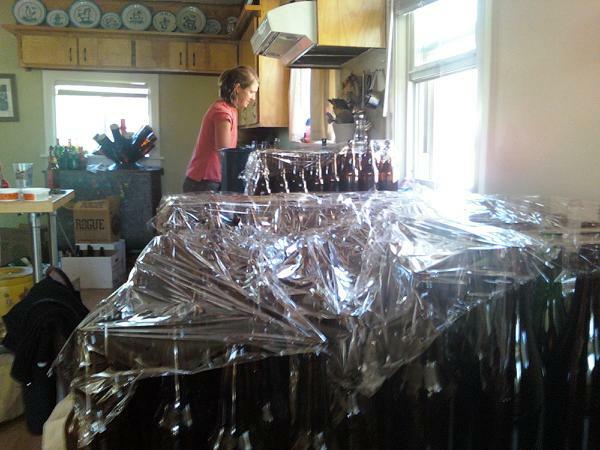 Bottling 55 gallons of Belgian brown ale. Beer waits for no man. And when we brewed this dark, Belgian beauty it was months and months before I was laid off. It sat for a long time in a French oak merlot barrel soaking up tannins and wine acids, while we went about our business. 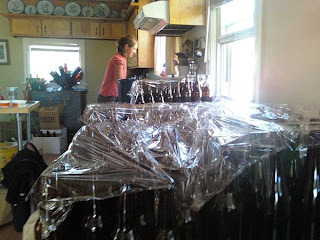 Well, today was our date with destiny, a long and arduous destiny with what seemed like a million brown and green bottles in the Lewis/McBryde Casa. Sometimes I like the continuous and traditional aspect of beer and the process of brewing and fermenting. It’s unshakable and never changes at all, and yet you end up with something amazing every time.